How much money can you make from an app? The answer is a lot, but it's probably not as much as you would expect, however, the profits are huge. Rovio, owner of the Angry Birds brand announced their financial results yesterday and the sums created from the Angry Birds franchise for the last year were a surprisingly moderate €75.4 million (£60.7 million). However earnings before tax were a very healthy €48 million (£38.6 million) or a staggering 64% of total revenue in 2011. Compare that with earnings before tax at Tesco (6.2% of total revenue), Amazon.com (1.8%) and Microsoft (38%) and you begin to realise just how good 64% is. 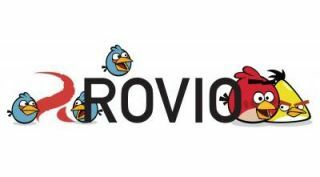 Revenue for Rovio comes from three sources; the merchandising of the Angry Birds characters, the revenue from paid downloads on iOS, Android, Windows etc platforms, and from in-game advertising. In-game advertising and downloads accounted for around 70% of revenue, and derived from Rovio's three Angry Birds offerings in 2011 — Angry Birds, Angry Birds Seasons and Angry Birds Rio. Between them the three games were downloaded 648 million times, with the total number of active monthly users, across all platforms, reaching 200 million. The Consumer Products business area, which includes both merchandising and licensing income, generated revenues that represent about 30% of total revenue in 2011. The company was working together with more than 200 licensing partners on developing new products and services within the Angry Birds franchise. The company expects business to continue to grow well into 2012. "We are very optimistic about 2012 due to significant investments in product development, cutting-edge branding, brand protection and corporate infrastructure," the CEO, Mikael Hed said. Results for next year should be even higher if downloads of Rovio's latest Angry Birds instalment, Angry Birds Space, carry on at their initial rate. The firm confirmed that Angry Birds Space was downloaded a whopping 50 million times in 35 days, making it the fastest growing mobile game of all time. However in the last year Rovio increased its workforce from 28 to 224, so that 64% earnings before tax, probably won't hit 64% next year.